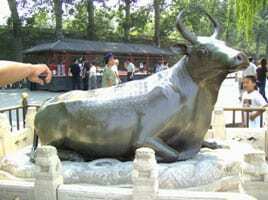 Feng Shui Ox is used in big scale Feng Shui to prevent flooding. Ox can reduce excessive water energy. 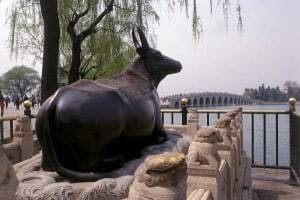 (Summer Palace, Beijing China) The ox is facing to water or face north. Same FENG SHUI OX in Summer palace in Beijing.